Did you know that the Bintulu Melanaus called it a day or the Pirates of the South China Seas? A palm by the name of Licuala Bintulensis? That the first democratic style assembly on Borneo Island was convened here in 1867? At right can be seen three buildings. The long one is the government boat shed, the middle building is my classroom when I was at Primary Four, St. Anthony School in 1962. The Bintulu District Council Padang or Padang BDC in Malay is the rectangular open space (partly seen) at the bottom most center part of the picture above. 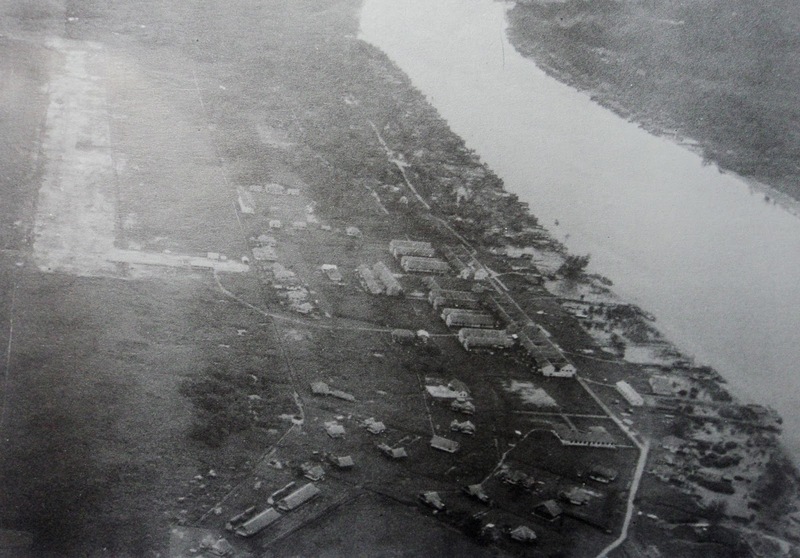 It is surrounded by two Police barracks (seen at the left of the picture) and some government quarters around the padang edge. A simple pebbled road connects it to the town as seen at the right of the picture. 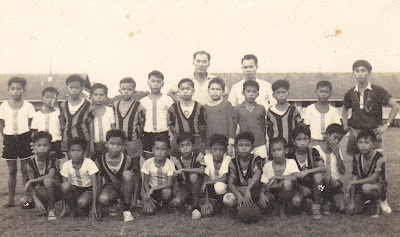 In the very early days of Bintulu town especially the period before the first boom which started in 1979, there was only one public football field serving the town population of about 5000 people. This field can be seen in the top picture. It was maintained by the Bintulu District Council and as such was fondly named as BDC football field of "Padang BDC" in Malay. " 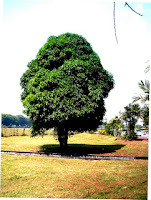 Padang" means field or large open space. It was here that as a young secondary school student I used to play competitive football. 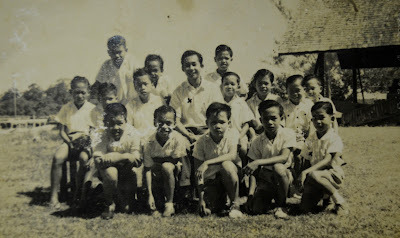 MOOD (seen kneeling at the centre) as captain of the Bintulu Government Seconday School (BGSS) football team C in striped black and red jersey.........photo taken in 1965. Footballers playing at the BDC Padang in early 1970's ; Note: the Police Barrack is partly seen in the background. 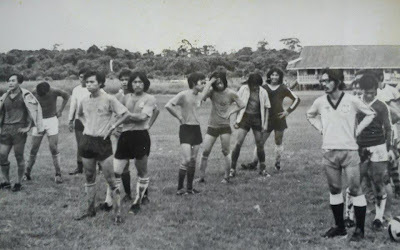 When the first boom catapulted the tiny and sleepy town into a developing and dynamic region, there arose many other public football fields built by the new development authority entrusted to spearhead the town into an industrial showpiece. I am glad to have played on this humble field in the early 1960's. The above extract is self-explanatory. 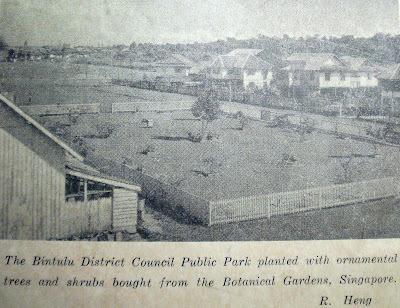 It is interesting to note that as early as 1960, Bintulu imported plants from the Botanic Gardens, Singapore for its landscaping projects especially for its first Public Park which was opened in 1961 in time for the 1961 Bintulu Centenary Celebrations . 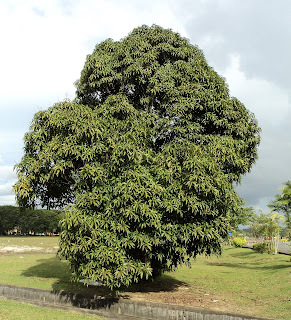 The exact site of the Park today is the Bangunan BDA building lot. Notice the space from the fence of the park to the row of private houses on the upper right hand corner. This space today is taken up by the Jalan Somerville or the Somerville Road. Date of launching: 11-2-08 , by Datuk Seri Abdullah Badawi, Malaysia's 5th Prime Minister. What is SCORE? 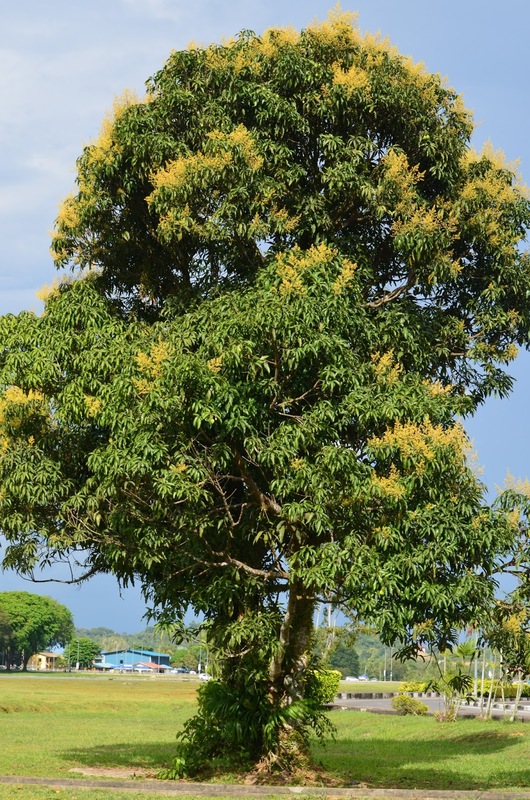 It is an acronym for Sarawak Corridor of Renewable Energy. Unlike our bedroom corridor, a regional corridor means that the government is serious about making Bintulu as a highway to reach develop nation status by 2020, through one of its major economic generators i.e. renewable energy resources from Bakun hydro electric dam. 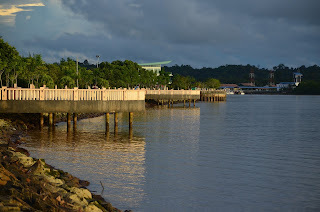 Bintulu's Bakun and a couple of scattered mini-hydro dams throughout SCORE territory, will power a maximum of 24,000 megawatts of electricity for the next 10 - 15 years of consumption internally in Sarawak and Peninsular Malaysia( exported by way of sub-marine cables) to industrialists as well as individual home owners. 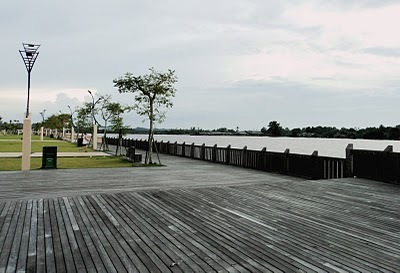 Though the centre of SCORE is Mukah (by designing it into a smart city, where SCORE's policies and master planning will be incubated and pushed for implementation) , at the point of writing, there is nothing substantial in Mukah that can be relied upon to claim a measure of industrial progress that can be showcased at launching time. 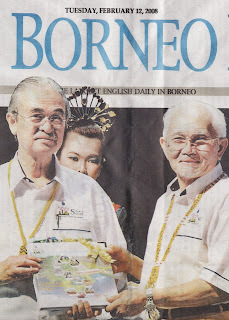 Thus Bintulu became a natural choice, because even now Bintulu is already a successful industrial showpiece in Sarawak. For Bintulu 2020 is now . 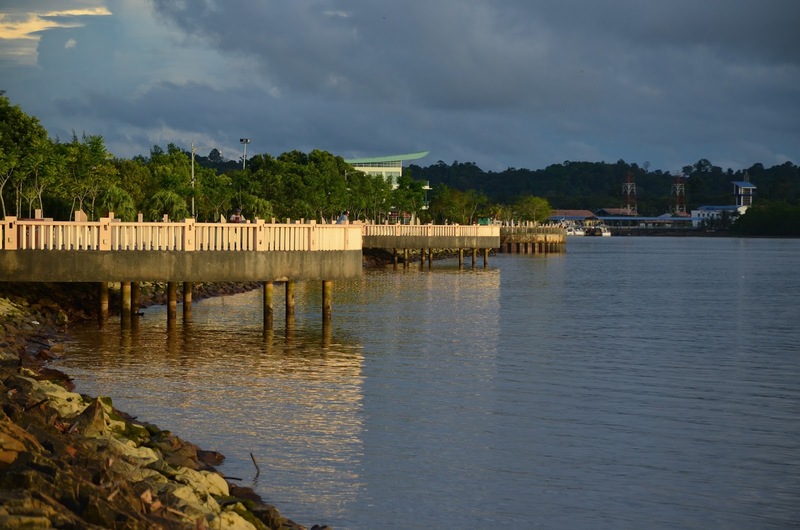 It was therefore a wise move to make Bintulu as the launching pad and Mukah can initially rely on Bintulu's success to pump on its renewal energy ambitions. Well, all 's well that ends well. 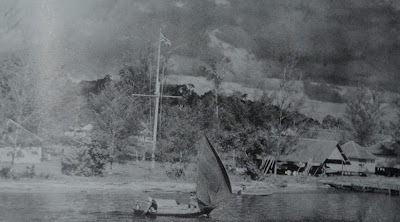 The launching was received by a strong 15,000 pre-Parliamentary election crowd, by the mouth of Bintulu's main river, the Kemena River, where once the local Bintulu Melanaus went out to sea to defeat the last of the Illanun pirates roaming the South China Seas and most feared by the western colonists back then.